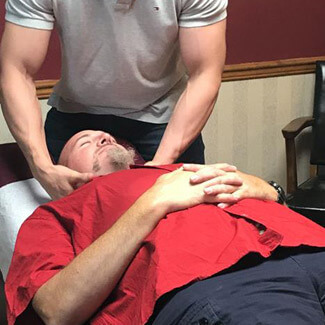 If you’ve been searching for a natural, noninvasive way to experience pain relief and better health in Niagara Falls, you’ve come to the right place! Chiropractic can help restore your body’s natural ability to heal itself after it’s been injured. At Niagara Family Chiropractic, we have many tools in our toolbox to help patients get relief and get on the path to better health. Your care plan will be customized using the techniques and modalities that we think will be most effective to help you reach your health goals. Every patient’s care plan is completely customized to meet their individual needs. If someone comes to the practice in acute pain, for example, we may see that patient 3-4 times a week for 2-4 weeks. Then, the frequency will likely drop down to twice a week for about a month or so to see how a patient is doing. The rate then typically will be reduced to once a month. Book a same-day appointment at Niagara Family Chiropractic and start feeling your best!